Two NEW Awards for 2019! printmaker starter packs for visitors. Printfest was thrilled to be shortlisted by Cumbria Tourism. The four finalists had to demonstrate excellence and innovation, service, welcome, marketing and sustainable practices, all of which adds to Printfest’s appeal to visitors ~ the winner was decided by public vote! In 2008 Printfest launched the first Printmaker of the Year Award. Each year we work in partnership with a print studio or gallery to select a Printmaker of the Year. 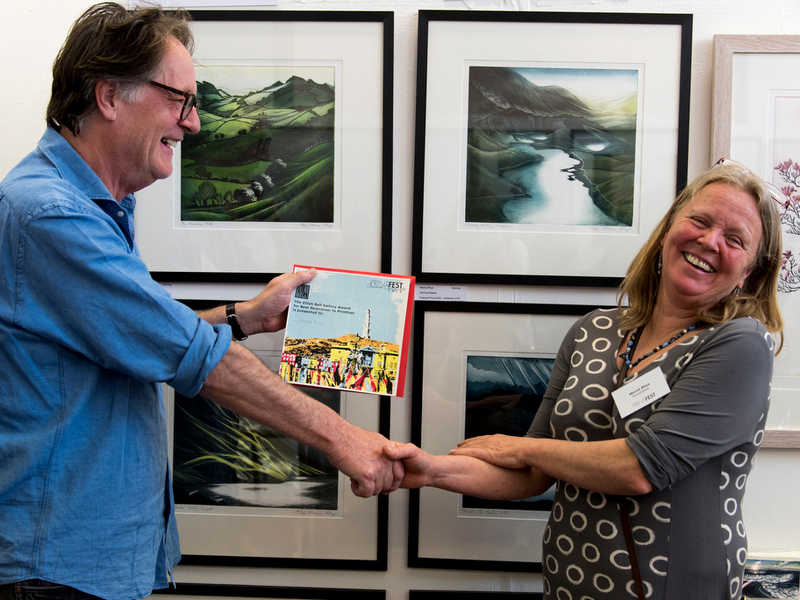 Since 2010, the Printmaker of the Year has created a commissioned print during a residency in South Cumbria and exhibited their work at Printfest. A selected piece from the Artist’s work is used on all Printfest’s marketing material; from the early promotional flyer distributed across the North of England, on all our posters, advertisements, invitations, tickets and on the cover of the exhibition catalogue. You can see past Printmakers of the Year here. In 2007 Printfest launched the Printmakers’ Printmaker Award. Over the Printfest weekend each year, we ask the exhibiting artists to nominate their favourite exhibitor. That artist becomes our Printmakers’ Printmaker, an accolade which is particularly meaningful to artists as it reflects recognition by their peers.